Whether you’re out in the wild camping, rock crawling or overlanding, being properly prepared for vehicle recovery situations is crucial. There’s a wide array of recovery equipment to choose from, from simple ropes to more sophisticated solutions like hoists. I’ve compiled a list of the most popular pieces of recovery equipment you can find Australia wide which you can choose from according to your personal preference. Perhaps one of the most popular pieces of recovery equipment are the MAXTRAX recovery tracks. These tracks are easy-to-use, lightweight extraction and recovery devices. You can easily find max tracks for sale online at an affordable price. The reason why they’re so popular is because they’re very good at what they do – they provide traction and firm ground to your vehicle, helping it gain momentum out of a sticky situation and back on the track. 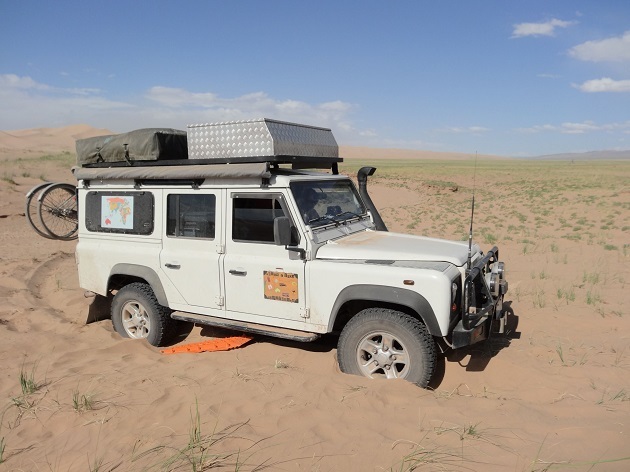 The max tracks for sale you’ll find are made of flexible, UV-stabilised, engineering-grade reinforced nylon, and they feature large cleats with teeth that sink into your tyres, thus preventing your vehicle from slipping back into the sand, snow or mub. Bubba Rope is a military spec recovery rope that’s made especially for pulling off-road vehicles out of a sticky situation. It’s probably the only rope on the market with polymer coating. The double braid has amazing abrasion, sunlight and chemical-resistant properties. Typically, nylon ropes lose 10% of their strength when in the water, but the polymer coating featured on the Bubba Rope ensures that doesn’t happen. The only all-cast jack manufactured world-wide today is from the Hi-Lift Jack company. The jack is manufactured from tensile strength and high yield iron castings and its formula hasn’t changed in the past century. The hi-lift jack has over 3T lifting capacity, is available in multiple heights and is incredibly durable. A standard recovery winch, combined with a shackle mount is the most sophisticated method to recover a vehicle. Typically, the winch has several factors that you need to consider: the type of motor, pull ratings and line length. There are two basic motor types that recovery winches use – permanent magnet and series wound. Series wound motors are ideal because they work consistently in all environments and weather conditions. The pull rating indicates how much weight the winch can pull with the first line of cable and it also accounts for the tensile strength of the cable.